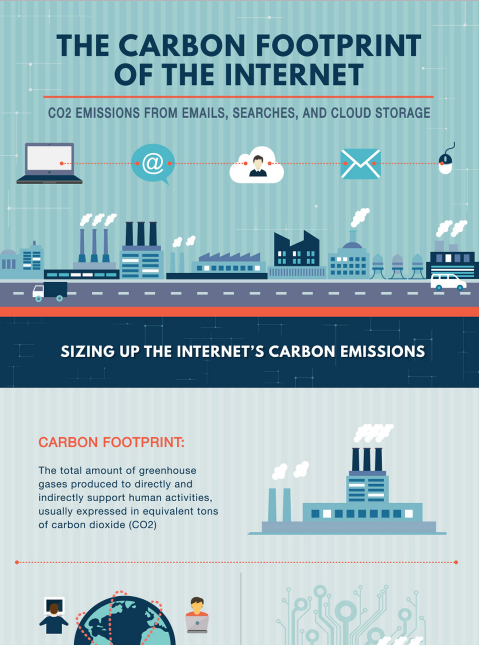 It has been found that every second of our internet use, puts 0.2 grams of carbon dioxide into the atmosphere. That might not be too much of a number to fret about but when you actually think of all the internet videos that are watched per day at about an average of 10 seconds each, we get a staggering amount of 4000 tonnes of carbon dioxide that is being emitted into the atmosphere per day. The main companies that rely on coal-based electricity were found to be Apple and Facebook whereas Yahoo and Google have been found to be the greenest of all the tech-based industries.